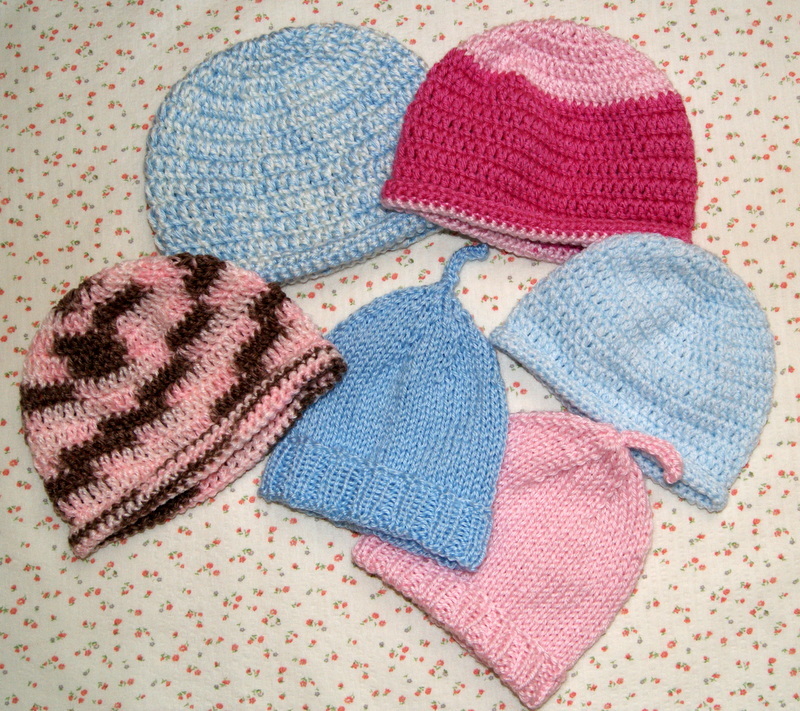 Just discovered a fellow crocheter from Ravelry (a wonderful crochet/knit site) who has been busy making my newborn/preemie crochet beanie pattern and donating them to her local hospital. Way to go Loz!! Check out her website http://xloz68x.wordpress.com/ to see her cute beanies!! Let me know if anyone else has been making these too!! They really are easy and loads of fun to make and for a wonderful cause. Thank you…..Im just glad you came up with the pattern…one that I can do no probs as I am really just a beginner. Hope to be able to make more of your things as I hopefully progress. I am so glad that you are enjoying this pattern!! Working on designing more patterns and hopefully posting soon. Always looking for ideas and/or suggestions too! !